Holding Class – what does this mean for the American yachting industry? 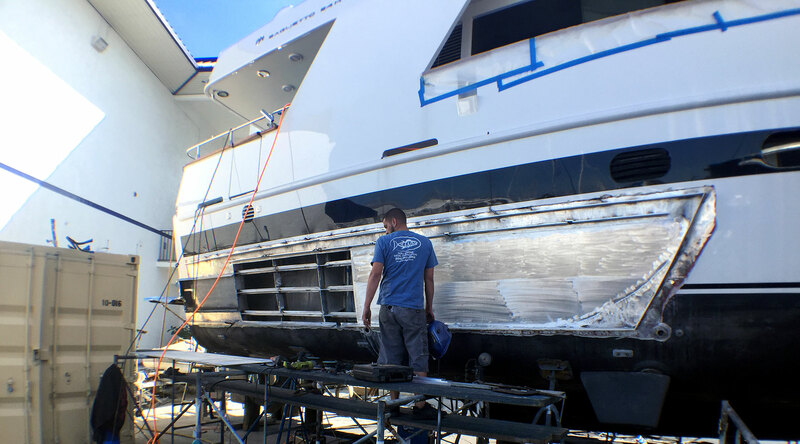 Dolfab Metal Fabricators, part of Doll Marine, recently performed repair work aboard custom charter yacht Kipany, a Class charter boat. Jim explains what it means to hold “Class” and what it means for the yacht owner and for the American marine industry. Watch the video or read the transcript below. The vessel we’re presently working is interesting setup… the keel was set in […] Savannah, GA […] and they set the keel here, and sent the boat, because of cost reasons, to Europe- to Italy and have it outfitted. So this would enable them o have an American keel, which they were able to hold and keep class. Class meaning that there’s are different sanctions through the government states that a keel must be set in this country if you’re going to use it for charter in these waters; they want to make sure that it’s an American boat. That way it protects the American industry… you know… “Built in the USA” still has some credence -and it has for a long time- in the marine industry. So it’s a whole different maritime law and sanctions and rules that are governed for the uh, fabrication and the design a lot of the [yacht] repair. There’s different classifications. Some charter boats are classed out for the Coast Guard, and (like a T-Boat status) there’s different classifications on the amount of people they will allow on the vessel due to the stability of the vessel. So there’s governed and sanctioned and under inspection from the Coast Guard. Another one is American Bureau of Shipping, or ABS, also has a classification. There’s also Lloyds of London, or Lloyd Specs, which is the European class. With the ABS, the American Bureau of Shipping, they have their own criteria and standards to work from in from the welding. The welders have to be certified by ABS has to be approved and inspected- and as far as the electrical work, all the mechanical work, everybody there has to be ABS certified… and the material they use… the mills that we get the material from… the alloy, the aluminum, and the stainless… anything we use on the boat has to be- have record and classification, it be from a certified mill, from-sanctioned from the American Bureau of Shipping. So it does cost a little more, in the initial, but in the long run it-it really protect the owner of the vessel; it gives them a good quality product with good common sense fabrication… things that, you know, would normally maybe get overlooked in running a boat building business, this way everybody knows that somebody’s watching over it. It’s like a watchdog.